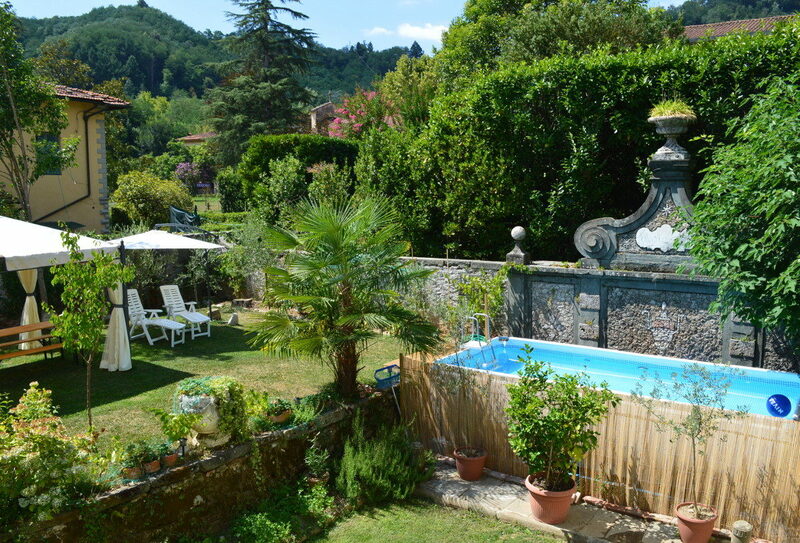 Located in the historic centre of Bagni di Lucca, Tuscany, Casa Tolomei is a beautiful, spacious Tuscan villa constructed centuries ago, and renovated between 2015 and 2017. 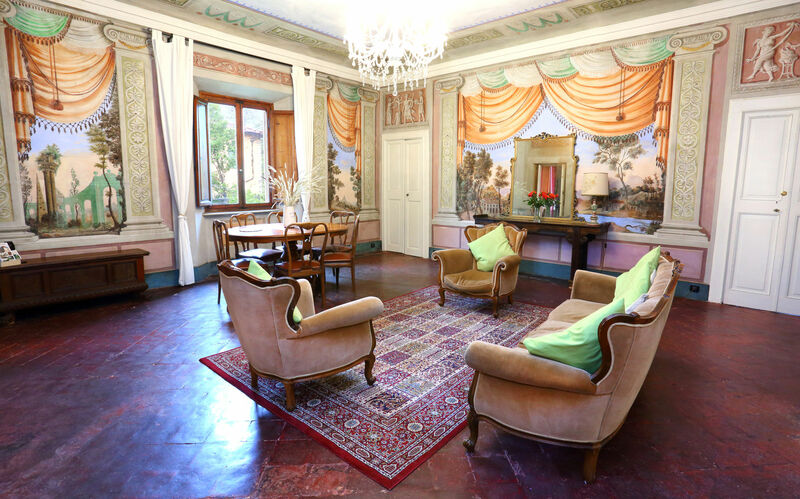 In this graceful, elegant setting we offer guest rooms, holiday rentals, and Italian language lessons. 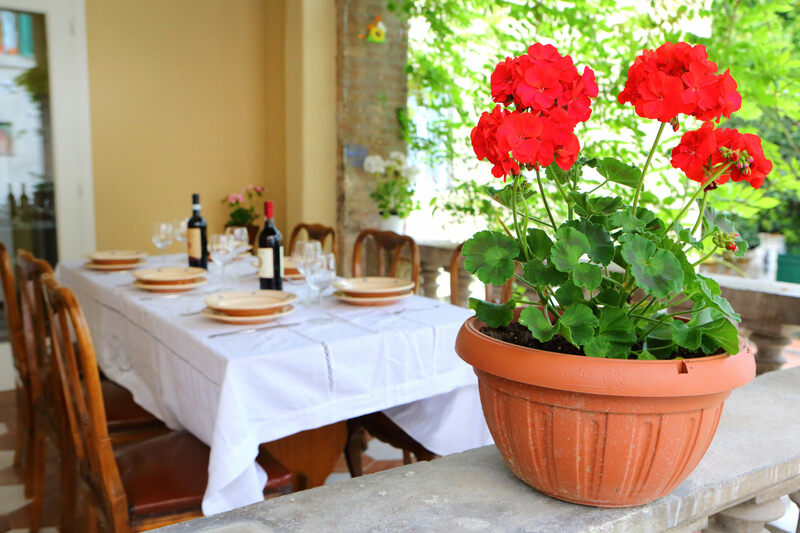 Summer holidays, family reunions, weddings, house-hunting, a cultural experience, or just passing through on a tour - when you're looking for a place to stay in Tuscany, contact us and we'll help you to choose the right option. 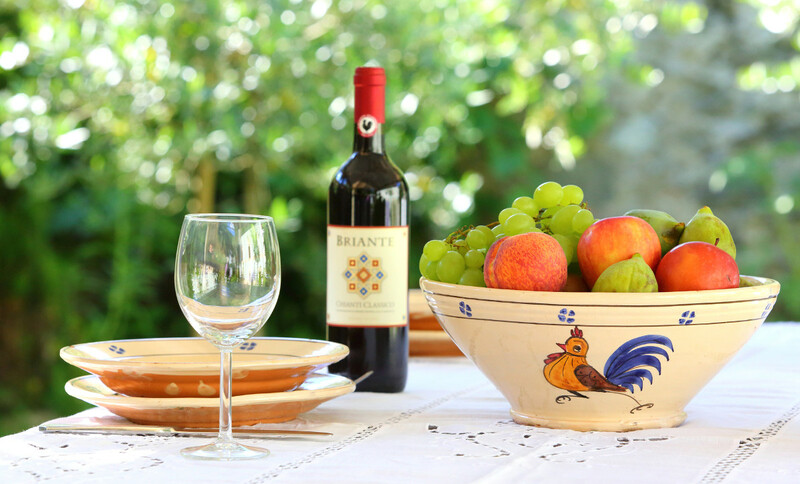 We offer villa rental with up to five bedrooms, self-catering apartments of one to three bedrooms and comfortable, airy guest rooms, each with a generously proportioned bedroom and private bathroom. 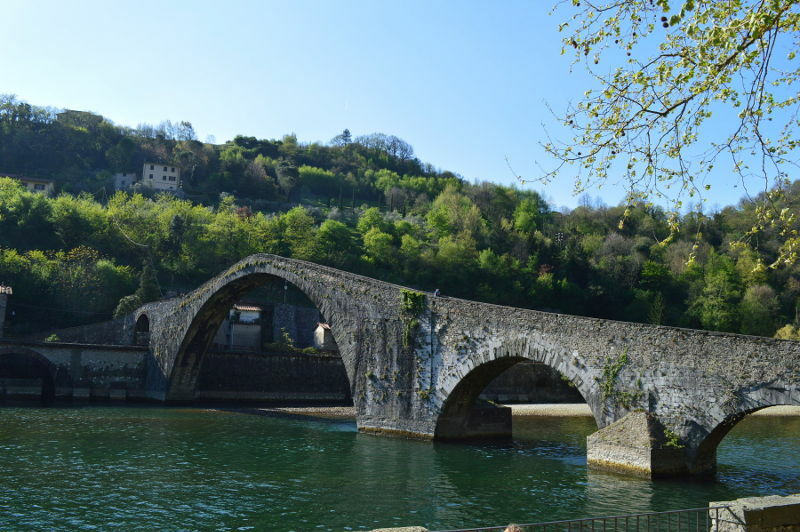 We are located in a tranquil corner of the historic centre of Bagni di Lucca, which is a lovely village with all services within easy walking distance. We're a few steps from restaurants, bars, the Irish pub & pizzeria, gelateria, banks, and shops. 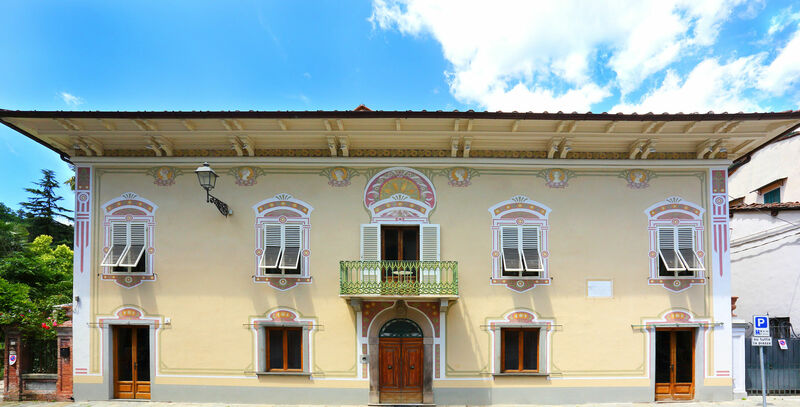 The nearest restaurant is almost next door, a cafe is a few doors away for that special cappuccino and pastry, and it's just a few steps to a wine specialist ('Enoteca'), the Tourist information office, and a small supermarket. 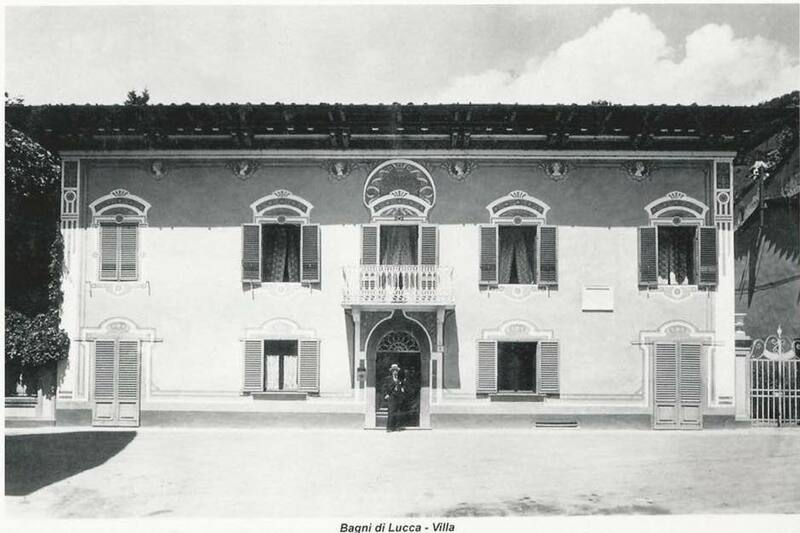 We are an English-Italian family and have recently restored the villa from its former neglected condition to create a comfortable, spacious home. As well as English and Italian we also speak German and Spanish. 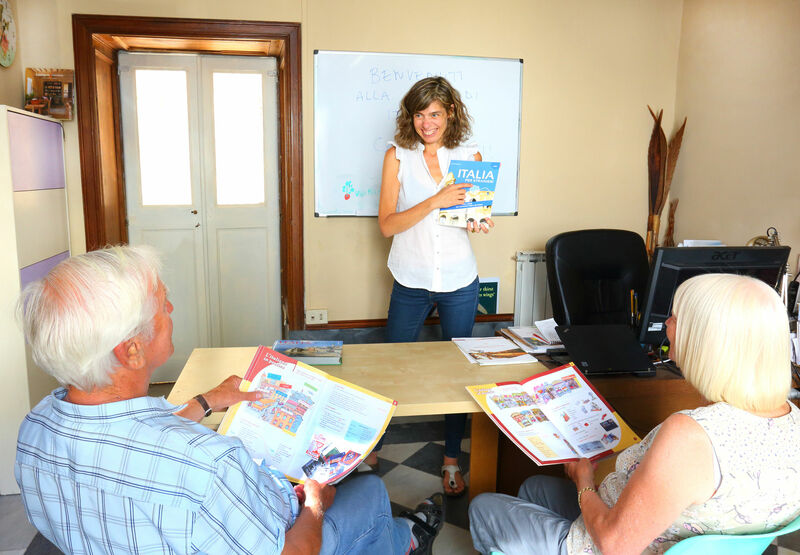 Our family operate Italian language schools in many major cities of Italy, and we also offer Italian lessons here in the centre of Bagni di Lucca. We offer private language lessons, one-to-one or for small groups (e.g. friends or family having about the same proficiency level in Italian). Learn at your own pace in a friendly environment. You can book single lessons or complete courses according to your needs. Guest rooms comprise a generous double bedroom and private w.c. with bath or shower. 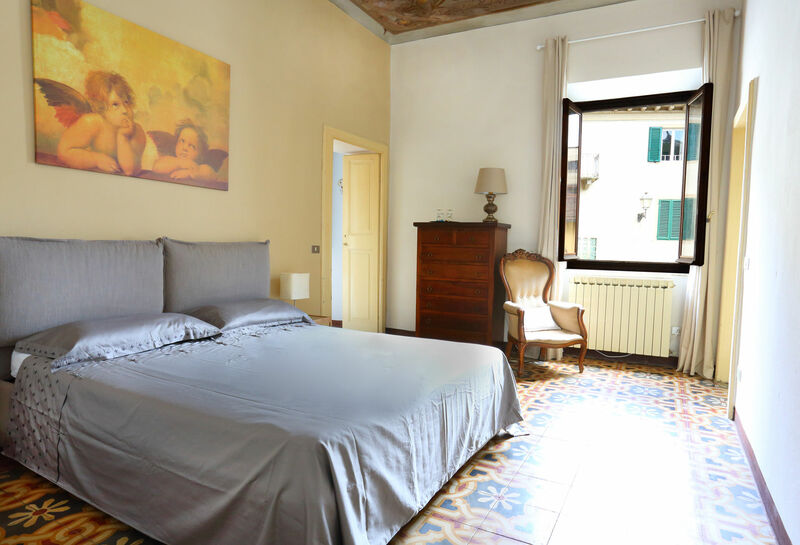 All of the rooms are light and airy with high ceilings and large windows, and antique features such as frescoes or original terracotta floors. Guest rooms are offered on a room-only basis (i.e. no meals are provided, but there are great cafes and restaurants within a few metres). All rooms have free wifi internet. All rooms are non-smoking. Our villa or apartment rental options are ideal for those planning to stay for several nights. We offer apartments of one to three bedrooms, plus the option of renting the villa with five bedrooms. The villa is suitable for groups from 4 up to 10 people, and includes up to five bedrooms, a modern kitchen and utility room, a secluded dining terrace, three bathrooms, and the unique frescoed sala (a very large sitting room at the centre of the house, featuring original frescoes), plus private use of the lovely walled garden and the pool during summer. We also offer smaller private self-catering apartments, with from one to three bedrooms, one to two bathrooms, and kitchen or kitchenette. 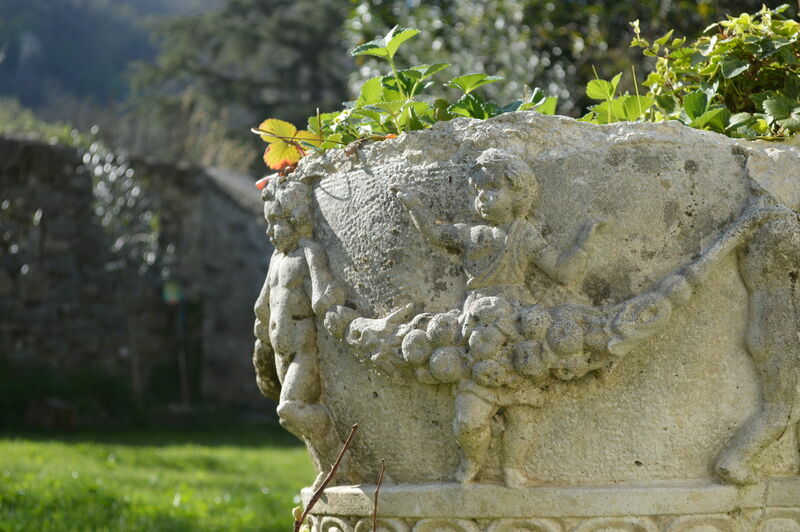 Outside there is a private, mature walled garden on two levels with various trees and plants including palms and olives. 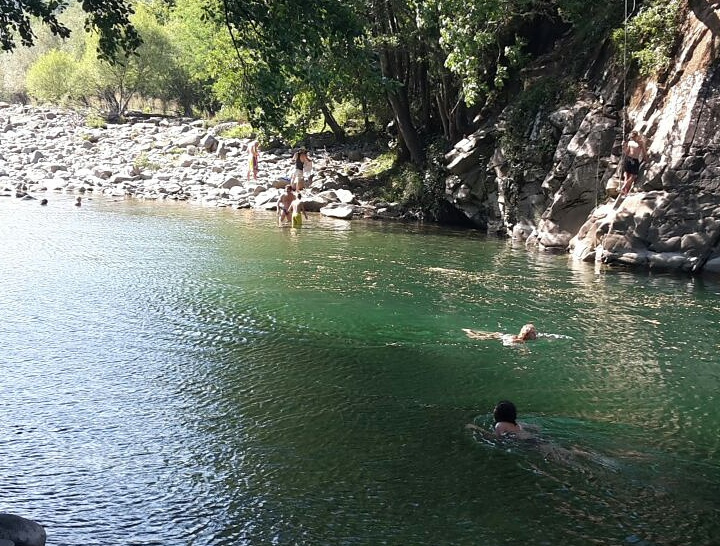 Here you will find picnic tables, chairs and a large gazebo, and in summer the pool which is located in front of a spectacular stone monument dedicated to relaxation ('Al Riposo'). Book directly with us to avoid the additional booking fees imposed by online travel agencies. Once agreed, payments can be made by bank transfer or via paypal. All prices are in British pounds (GBP). Ask us for a price in your preferred currency. Please email us to make a reservation. We'll quickly reply to confirm availability. Once your booking is agreed, payment can be made by bank transfer or via paypal. Note, guest rooms are offered on a room-only basis. 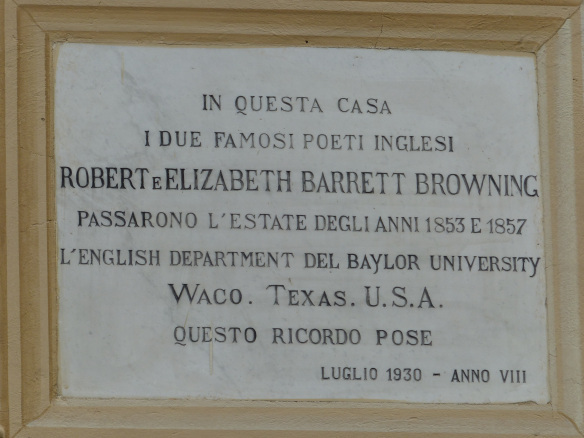 Please email us, letting us know approximately your current level of Italian ability, when you will be here, and whether you want one-to-one lessons or to share with friends or relatives. 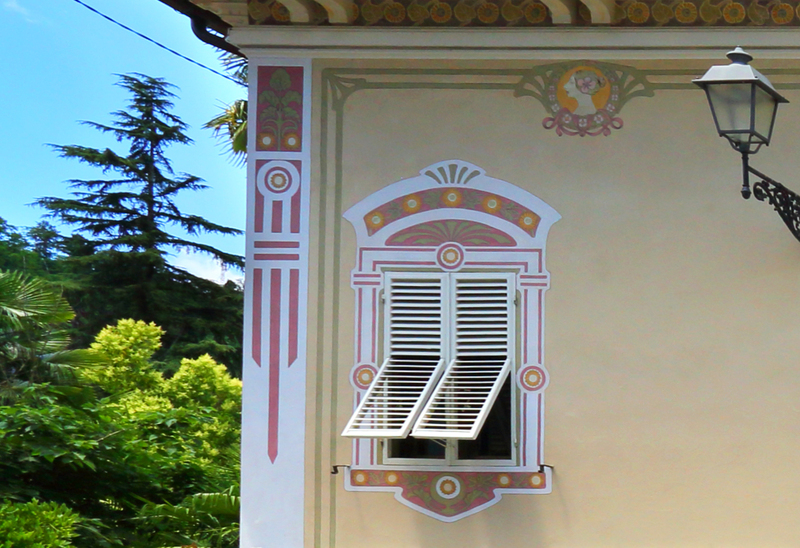 If you would like to stay at Casa Tolomei while you learn, please also mention that. 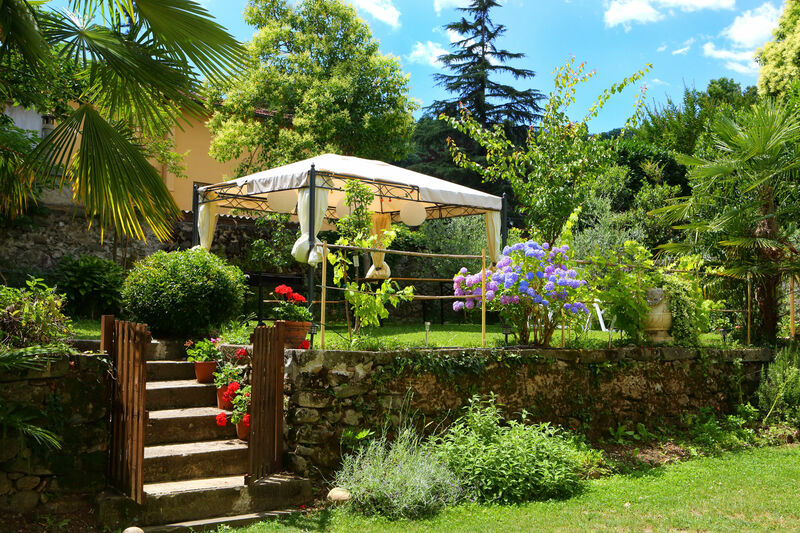 If you're thinking about buying a house in Tuscany, take a look at our friend Giovanni's property sales website. 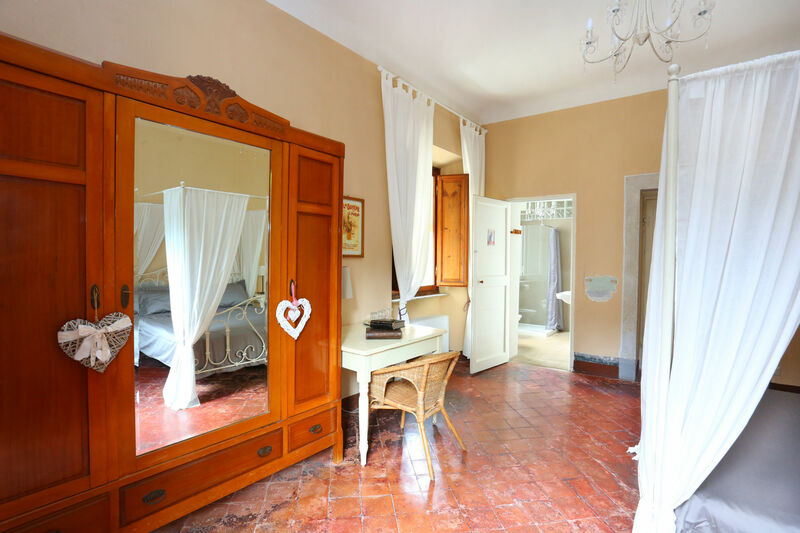 You could stay comfortably at Casa Tolomei while you look for your very own place. Please email us for enquiries about what we offer, to check availability, or anything else regarding our services. We aim to respond quickly.